My family visited Lake Erie nearly every summer when I was growing up. My step-father loved to fish, my mom loved the water and the sun--and I liked reading or writing or drawing by the lake--and I always enjoyed the possibility of a trip to Sea World (yeah, I'm that old) or Cedar Point. We generally headed toward Cleveland/Marble Head back in those days--and did not venture toward Michigan or Toledo. On a recent trip to Toledo, my husband and I opted to head toward Luna Pier in Michigan for an evening trip. What should you know about a family travel outing to Luna Pier, Michigan? Luna Pier, Michigan, is minutes from Toledo, Ohio. Okay--to be honest, we discovered Luna Pier, Michigan, because we were actually following a lighthouse-this-way- sort of sign from near the Toledo Motor Speedway in Toledo...and either missed the other signs directing us to the lighthouse...or the initial sign just led us from a main road in Ohio to Michigan without warning. At any rate--the Luna Pier and beach are convenient from downtown Toledo and are really worth a visit. Luna Pier offers a clean and accessible beach and pier. The beach and pier were very well maintained. This was probably the most calm, tourist-y, small-town, beach environment I've ever seen. The pier was well maintained. The beach was clean and the visitors were enjoying the day. The parking area (where you do need to pay to park) was orderly and easy to navigate.There were families enjoying picnics, there were couples walking the pier, and--in spite of posted water-safety warnings--there were many people enjoying the water off the beach. ...About that water safety/ "health warning". 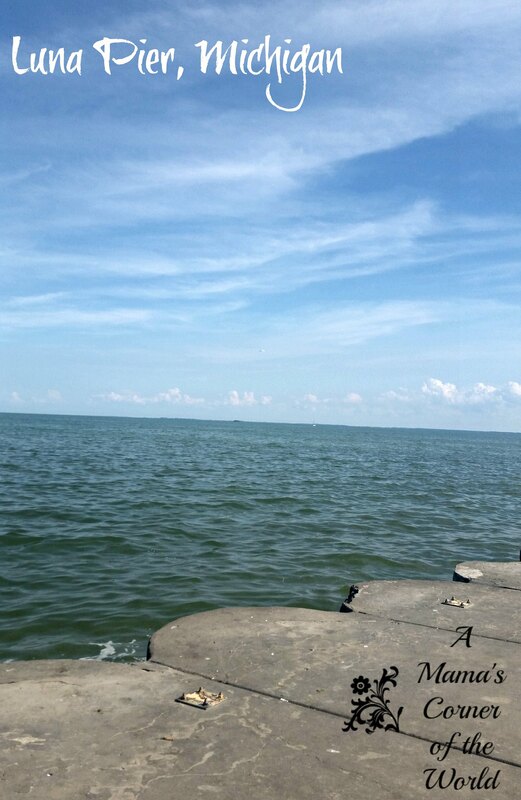 It seems, that while a lot of Lake Erie is battling toxic algae blooms and other issues, the city of Luna Pier is one of many beaches on the lake facing an e.coli warning. There were signs posted by the Monroe County, Michigan, Health Department warning visitors against "full body contact" with the Luna Pier Beach water due to tested levels of e.coli. This warning has been posted and lifted a few times over the summer this year--but, in spite of the warning, there were many visitors in the water during our visit. We opted to skip a dip in the lake--but, we did walk a bit onto the beach. Our youngest is always in search of seashells. 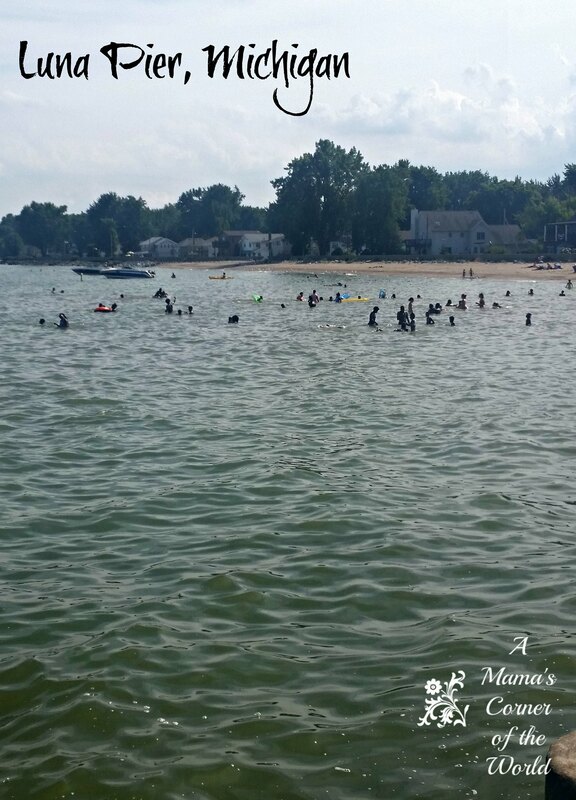 Some Tips for Visiting Luna Pier, Michigan on Lake Erie as a Family. The beach is small--but, it is well maintained. There is a clean area for changing into swim-gear and cleaning up in the "lighthouse-like" building. In spite of the water-quality issues, which surely affects the city's tourist travel, the community offered a well maintained beach and pier. Check with Monroe County, Michigan, about the area water quality before visiting. 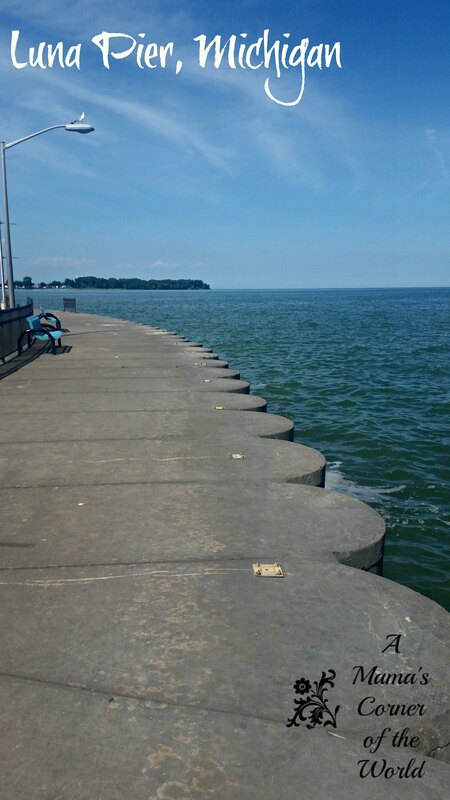 While it's fun to walk the beach and collect some shells--or walk the pier and have a picnic...it's hard to visit Lake Erie and not hit the water! If you plan to visit, I would check with the local health department for the latest status update on water quality testing. Plan a picnic. I am a big fan of family picnics. There are close-by, restaurants in Luna Pier--but, sometimes, I really like to break away and pull out a picnic basket (or a cooler in today's world) of food for lunch or dinner. There is space for a family picnic either along the beach or in some of the green-space along the parking lot. Enjoy the view of Lake Erie. Expect to see some sailboats and seagulls and relaxing water views. The area is small--and I am sure that it becomes much more crowded when swim advisories are lifted--but, the pier offers some lovely photo opportunities from the Lake Erie shore. The water looked a little murky and blah during our visit--but, I hope that the Lake's water quality returns to something beautiful for this community. What did we think of Luna Pier and Beach in Luna Pier, Michigan? This is an example of a community doing everything right to offer something wonderful to visitors...in our struggling environment. The beach, the pier, the facilities, the parking area and the small-town-feeling community--offer a wonderful visit to Lake Erie. Lake Erie, Mother Nature and our man-made, environmental woes were simply not cooperating during our visit. We will return to Luna Pier the next time we visit Toledo, Ohio. It's a beautiful space. We will return next year and hope that the county's water quality testing lets our girls pull out the bathing suits and play in the water, build sand castles on the beach and enjoy Lake Erie. We were not compensated in any way for this post--we simply wanted to share a recent family travel adventure with our readers. 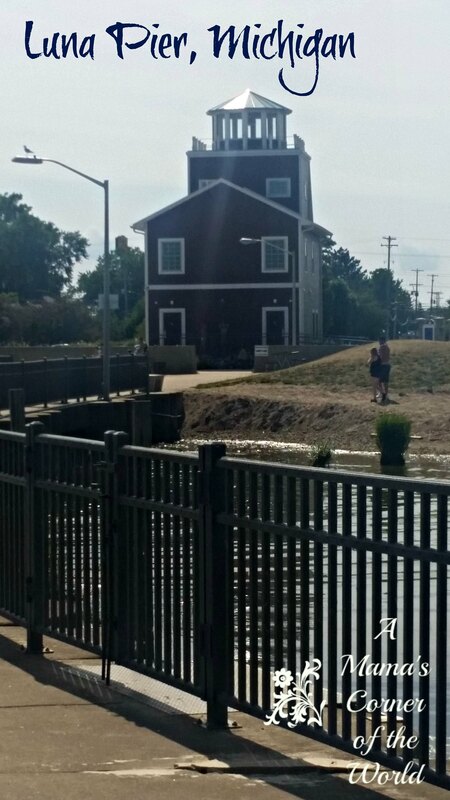 Check out the community of Luna Pier, MI . This is very good advise, thank you. My fiance and myself are driving up this weekend for the the first time and I wasn't sure what to expect. I hope to have as nice an experience as you did!